Often times we find it compelling to contribute to someone else's project, either because you added a new feature to it or fixed an existing bug. This way you feel proud that you're giving back to the community project that helped you from re-inventing the wheel. Git/Github has simplified and made intuitive the entire process of code contributions to other's repositories. However, it can some times go awry if you do not get the basic workflow of working in Git right or because you're over-confident of your contributions. For the latter case, see my pull request that was not accepted in spite of it following the community convention in user experience/design. It's a good lesson for me that re-in forced the lesson that the world is super opinionated (and that includes me as well) and that there is nothing right or wrong. In this blog post we'll look at recommended steps in how we can contribute to other's open-sourced repository to which you don't have access and want to send in a pull request. Step 1: Fork the target repository, say, Spoon-Knife to your account in Github (karthiks in my case). Step 2: Clone your forked repository to your local laptop. This step is often overlooked. A sure sign of getting the workflow wrong. When you clone a repository, it has a default remote called origin that points to your fork on GitHub. This is good enough if you do not intend to contribute code changes back to the original repository that you forked. # Assigns the original repository to a remote called "upstream"
Step 4: Create a feature (or bug-fix) branch and commit your changes to it. This is important step. Do not by-pass this step, if you want to pat yourself. Step 5: Push your local branch to your remote repository. Step 6: Send the original author a pull request. My inspiration to write this blog post has come out of a mistake I did sometime back in the way I overlooked some of the steps mentioned above and sooner felt the pain of my oversight. Lesson learnt the hard way. And I hope this post comes to the rescue of good citizens. As I always say, "Failure is absolutely okay, so long as we have something to learn and not repeat the same mistake for the same reason". 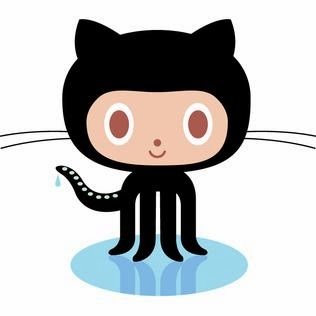 Some portions of this blog content is taken, modified and/or reproduced from the Fork a Repo guide of Githubs' as it fits and connects well to this context of blog title. Thank you Github!